Dr. A. Renfrow Hauser was born and lived in Mt. Airy his entire life with the exception of his time away while in college and a short time immediately after graduation from veterinary school. He completed his undergraduate studies at NC State University and graduated from the University of Georgia College of Veterinary Medicine in 1974. He worked in Abingdon, Virginia for 1.5 years before returning to Mt. Airy to open his own veterinary hospital in 1976. His free time is spent with his horses which he showed for many years and now races at the standardbred race horse tracks. His love is breeding, training and racing the horses that he and his wife, Karen have raised. He is the proud father of two sons, their wives (Scott and Sheri, Mark and Leah) and 6 grandchildren (Ella, Nolan, Ava, Marlee, Henry, Annabelle). Dr. Hauser is also a licensed private pilot. Besides all the horses and ponies, the Hausers enjoy their farm and a “herd” of fainting goats! Dr. Hauser is a member of the American Veterinary Medical Association, the North Carolina Veterinary Medical Association, the American Association of Equine Practitioners and is a category II accredited veterinarian by the USDA. 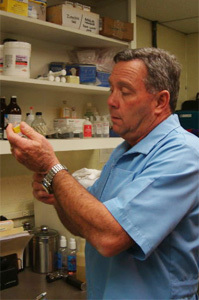 He is the founder of Surry Animal Hospital and has been here since it’s inception in 1976. He currently performs all the large animal work at Surry Animal Hospital. Dr. Mark G. Hauser was also born and raised in Mt. Airy where he attended North Surry High School. He graduated from North Carolina State University in 2000 with a bachelor’s degree in biological sciences and a minor in genetics. After a few years working in another field, he attended and graduated from Ross University College of Veterinary Medicine, St. Kitts, West Indies in 2009. He completed one year of clinical studies at Auburn University. He and his wife Leah enjoy all sporting events, especially Carolina Panthers and NC State Football. They are also the proud parents of Marlee (2012), Henry (2014) and Annabelle (2016). Leah and Mark also have a pasture ornament donkey, Jose, a goldfish, Fred, and a rescue dog Freckles. Dr. Hauser is a member of the American Veterinary Medical Association, the North Carolina Veterinary Medical Association and is a USDA Catergory II accredited veterinarian. He has also served on the Surry County Board of Health since 2016. Dr. Hauser is certified in Stem Cell Therapy. 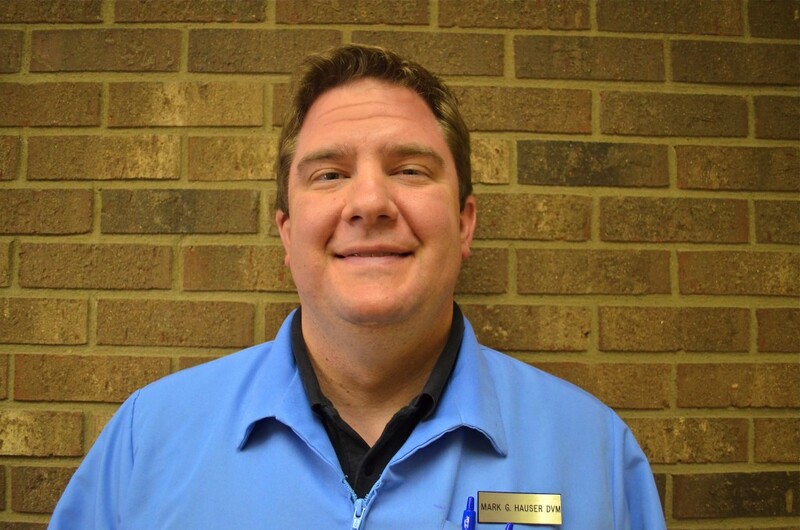 He has been at Surry Animal Hospital, PA since 2009 as a veterinarian.